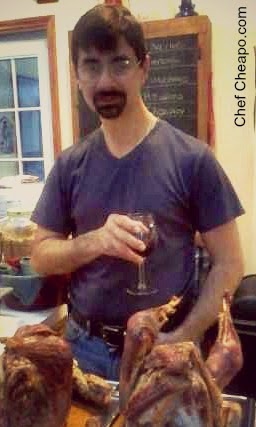 Chef Cheapo: Say Cheese!! Saving money buying cheese. Say Cheese!! Saving money buying cheese. If your family likes cheese like mine does, it can be a bit pricey to buy "good" cheese. Now understand when I say cheese, I am not taking about the sliced stuff that is individually wrapped. I am talking about real cheese that has to have been cut from a big block that was traditionally made. This cheese can be any kind you can imagine from any place in the world. Blue s, soft, aged, wine rubbed skin, cheddars, goat milk, sheep milk, cow milk, brine cured, fruit infused and wine infused are just a sampling of some of the kinds of many different cheese out there. The one thing that most have in common is when they are great for eating and when they have gone past their prime. 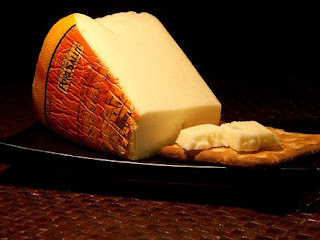 Cheese is a naturally fermented food where the milk has been inoculated by whatever bacteria makes that kind of cheese. Through the fermentation process, the bacteria transform the simple milk into something even better. What some people may not realize is that this cheese is still a "living" medium. When you buy that cheese, the bacteria are still alive and continuing to do their thing with that cheese until their food supply has been depleted and they die off. This is especially true in fresh, soft ripened cheeses like brie and camembert. Don't be alarmed! These bacteria are not bad for you. They actually are very good for your health, like eating fresh yogurt adds the live cultures to your gut. Even after the bacteria has died off, the cheese will still weap out whey as it hardens and ages, in essense, respiring. 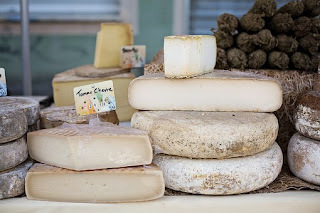 Usually, if you are fortunate enough to get cheese from a cheese monger (someone that sells cheese), they will take great care to make sure the cheese is the freshest it can be. They may trim any unwanted mold from it and regularly rewrap it so that it can breath. Yes cheese breathes. Cheese would traditionally be stored in the open air so that the cheese can age properly and breath and it will inhibit mold growth, if kept under the proper conditions, such as temperature and humidity. When I worked as a cheese monger, we would regularly go through the cheese case and rewrap cut blocks so they would stay as fresh as possible until purchased. So how can you do this at home? First remove the plastic wrap and dry off the block if there is any moisture and allow it to air dry for a little bit. Next you have 2 options on how to store blocks of cheese. The first would be to wrap it in wax paper . This will allow the cheese to get some air activity and not be sealed off by plastic wrap. The other option as I posted in this previous post, would be to wrap it paper towels or flour sack cloth that has been lightly moistened with white vinegar. The vinegar will keep unwanted mold from forming on the surface. Either way, put the wrapped block in the warmest part of the refrigerator, like a veggie or lunch meat drawer. 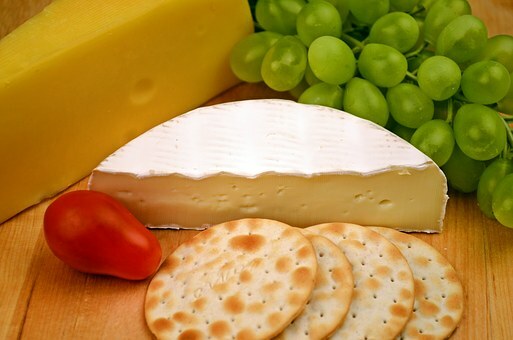 Soft ripened cheeses, like brie or camembert , need to be eaten young. They definitely have an expiration date and that is inherent with this type of cheese. The best way to be be sure your cheese is of high quality is to smell it. Soft ripened cheese should have a fresh smell to them, like the type of cheese they are. If you detect the faintest wiff of ammonia, this cheese is past it's prime. 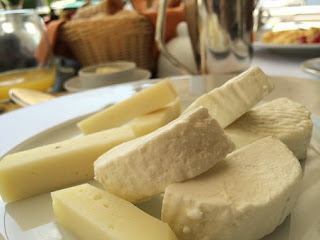 The ammonia is the over fermentation of the milk in these cheeses and if you eat them, you will definitely taste it and not the smooth, creamy milk taste you would expect. Most of these type of cheese are wrapped in a wax paper and can easily be slightly opened up and smelled. The white mold skin on these cheeses are desired and quite tasty. Some harder block cheeses, like cheddar s, provolone , parmesan and others will age pretty well if you follow the above recommendations. As they get older, they will get harder as they dry out further. This will only increase the intensity of the flavor. As they do age, they will get harder and harder and here is a pro tip- chefs love these hard cheeses. 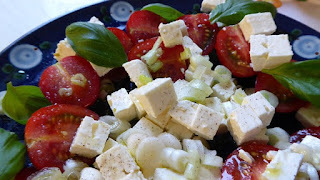 We grate them over a dish to add a little more flavor to the food. If you use a micro plane grater , you will get extremely thin shavings of cheese. A little of this goes a long way and you do not want to drench a dish with cheese, just a adding a little extra kick to it. Brine cured cheese, like feta, should be stored in the salt brine it came in. This brine not only is there to flavor the cheese, but keeps it fresh. The salt inhibits any mold growth on the cheese, as salt is a natural mold inhibitor. If you happen to spill or not have enough brine to cover the cheese, you can easily make more brine. Add 2-3 tablespoons of kosher salt, not table salt which has iodine in it, to a cup of water. Dissolve the salt, taste and be sure the brine is salty and add to cover the cheese. When using this type of cheese, just remove the block from the brine, blot to dry and crumble or slice as needed. Put whatever cheese remains back in the brine and refrigerate. So I hope you found this post helpful. It may not save you money on the front end of buying these cheese, but it will on the back end by keeping it fresh until consumed. Enjoy! !